TechCrunch writer MG Siegler announced early yesterday morning he’s leaving the tech blog as a full time writer. The timing may seem odd given the latest TechCrunch drama, but Siegler insists this latest move has been a long time in the making. In a blog post titled “On the Next Venture”, Siegler says that yes, he is becoming a VC. Enough with burying the lede: yes, I’m becoming a VC. I couldn’t be happier to announce that I’m joining CrunchFund as a general partner. It’s my honor to join Mike and Pat in that role. And I thank them for the opportunity. 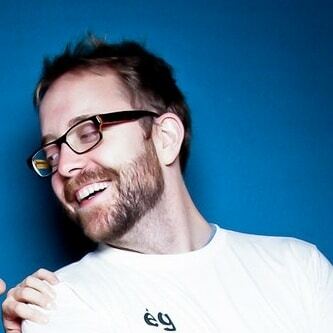 Erick Schonfeld also announced Siegler’s leaving on the TechCrunch blog. He says that although Sielger is leaving TechCrunch as a full time writer, he will still write for them as an outside columnist, but on one very specific topic: Apple. Of course the web is covering this story with headlines such as “The Tech Blogger Bubble is Here” and “Tech blog writers hit the big time“. Some are skeptical about the announcement, while others are focusing on why hiring tech bloggers seems to be a popular thing to do right now. What does Siegler have to say about this “tech bubble” and crazy valuations? For all the talk of “bubbles” and crazy valuations, I think most overlook something very fundamental: technology continues to permeate all of our lives in ways we couldn’t imagine just yesterday. This will only continue to increase over time. Technology startups are at the forefront of this. What we’ve seen up until now is just a taste of what is to come. We wish MG Siegler (read this if you are dying to know what MG stands for; not that it will answer the question for you) the best of luck in his new venture. So tell us – what are your thoughts on all of the happenings within TechCrunch and the technology blogging realm as a whole? 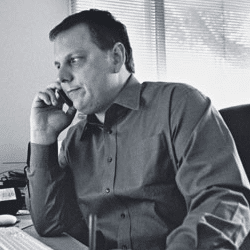 Michael Arrington, the editor of the uber-popular tech blog TechCrunch, has announced he is stepping down after six years on the job. His next step is to head up the $20m private investment fund, CrunchFund, which is backed by AOL (who purchased TechCrunch last year) and several other venture capitalists. CrunchFund is an early stage venture capital firm founded by Michael Arrington and Patrick Gallagher. The fund invests in and works with information technology companies at any stage but is primarily focused on seed and early stage investments. You can see all of the big name investors here. Arrington will still have a role as a writer for TechCrunch, but no editorial control. His departure is raising some eyebrows as to the future of TechCrunch under AOL. Rumors of an AOL sale have also been circulating. This announcement, the state of TechCrunch and the state of AOL has everyone in the tech blogging world talking. Here is some clarification as to the relationship between TechCrunch and CrunchFund, written by TechCrunch writer Paul Carr.